The Bear's Club in Jupiter Florida is home to Jack Nicklaus' pine tree-lined, fabulous golf course, a 40,000 square foot Tuscan-stoned clubhouse and an exquisite master-planned gated community. This exclusive, ultra-private community is limited to just 55 estate-sized homes. Starter homes begin in the four million to five million dollar range, all with minimum 1 acre lots. The landscaping throughout the community and golf course is lush and peerless in excellence. You might forget that you are in Florida. The ambiance creates the felling that you are perhaps somewhere in the old south regions of North Carolina. 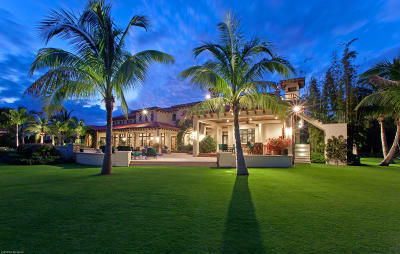 Established stately pines replace the usual trappings of recently planted palms and imported tropicals. 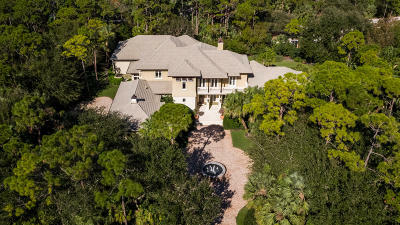 In addition, there are also 13 vintage estate homes, 17 golf villas and 14 club cottages. Set on John D. MacArthur's old farm, Jack Nicklaus transformed this former cow pasture into a golfer's masterpiece. The Golden Bear has tinkered year after year with his design, so that many pros call this their home course, including PGA's Ernie Els and Chicago Bulls' basketball legend Michael Jordan. Jack Nicklaus' practice area is second to none and neighbors up to the Ritz Carlton. The Bear's Club features the golf course, lakes, wetlands, marshes, preserves and cypress heads. This location is in the heart of Jupiter, Florida and is minutes away from the beaches, world-class shopping, fabulous restaurants, and nearby Palm Beach International Airport. Its residents are virtually a "who's who" of CEOs of large corporations and internationally recognized names, yet their identities are a closely-guarded secret.